Fiji group holidays. Specialist Fiji group travel service. Organising a Fiji group holiday? Let us take the hassle out of the planning process. Fiji is the perfect destination for a fun, stress-free group holiday. Whether you’re travelling with a large family group, a bunch of mates or a sporting team or community group, we can work with you to create an amazing holiday that will see you reminiscing with fondness for many years to come. As specialist Fiji travel agents, we have been organise group holidays to Fiji for the past 20+ years. 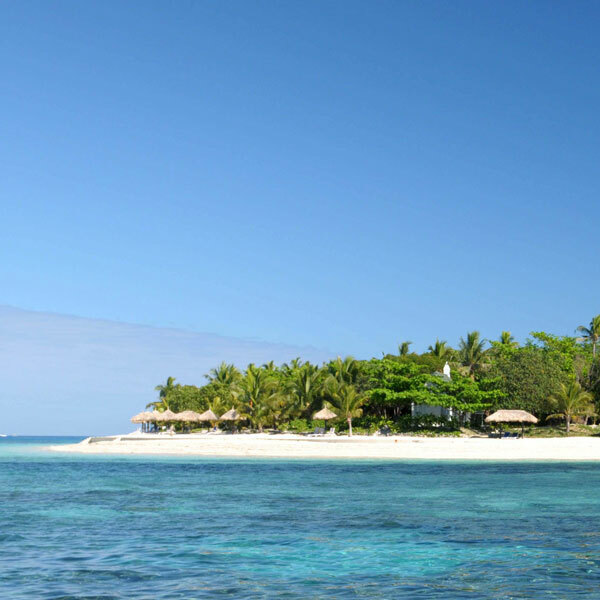 Nobody knows the extraordinary Fiji Islands like we do! Whatever your budget and accommodation preferences, we will devise a package that fits your requirements perfectly. We offer an exclusive all-inclusive group planning service which handle all flight bookings, reservations, internal transfers, accommodation, meal packages and sight-seeing tours. Planning a group holiday is a huge undertaking for the uninitiated – why not take the stress out of the process and leave it up to us? When planning group holidays it’s important to be mindful that not everyone has the same allocated budget for accommodation. With this in mind we always recommend resorts that offer a range of price options. Not everyone in a group travelling together ever have the exact same accommodation requirements. Young families will have very different needs to the mature matriarchs of the family when travelling together. Therefore it’s important to choose a resort that offers a variety of accommodation. It’s also important that the accommodation is not too far apart that it discourages impromptu gatherings for late afternoon drinks and nibbles on the balcony whilst watching the sun set. After all, isn’t that what Fiji holidays are all about? When travelling with kids, particularly large groups of kids, we recommend resorts that offer excellent Kid’s Club and babysitting services. This gives parents the confidence that the children are safe (and being kept busy) if the adults choose to enjoy time together. One of the reasons why Fiji is perfect for group holidays is that most resorts have everything you could possible need conveniently contained within the resort grounds. Diving, swimming, snorkeling, bars, restaurants, tennis courts, volleyball, shopping, gyms, spas and beauty facilities, yoga, water aerobics… the list goes on. Some resorts offer more activities than others so, depending on the requirements of the group, we know what resorts will keep everyone happy. In our experience, we believe some resorts cater to large groups travelling together more so than others. Below are our top 6 Fiji resorts perfect for group holidays based on the feedback we have received from our clients in the past 20+ years. If you are seeking an intimate island experience at a smaller resort, then Castaway is the perfect choice. Covered in 174 acres of lush tropical vegetation, surrounded by white sand beaches and vibrant coral reefs, Castaway is the heart and soul of the Fiji Islands. The resort exemplifies the warmth and genuine hospitality of her Fijian family of staff. 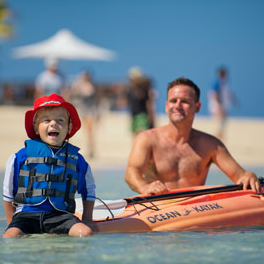 Castaway offers water sports for everyone and every age; snorkeling the island’s spectacular fringing coral reefs, windsurfing, parasailing, catamaran sailing or waterskiing on the crystal clear lagoon. Island hop by speed boat with a champagne picnic, take a dolphin safari, play tennis on a champion ship sized court or simply relax in a hammock under the swaying palms. Explore 28 outstanding recreational dive sites within 20 minutes of the resort. Qualified instructors and dive masters offer a selection of dive courses and exhilarating dive options. Location: The beautiful Mamanuca Island Group. By coach and launch you can reach Castaway Island in 2 hours. Malolo offers guests an intimate, rustic island experience where it’s all about kicking back in a bure near the beach. Malolo is owned by a local Fijian family so it’s all about reconnecting with family and friends without the distractions of “mod cons”. Perfect for families, at Malolo you can fill your day with a myriad of activities or simply unwind and do nothing at all. There are an array of activities and experiences on offer to keep even the most active of guests occupied. There is a free kids club 4-12 year olds and plenty of water sports fun. Malolo features a fantastic variety of menus and dining locations. From our selection of bars and dining venues, you can enjoy a casual snack by the beach or experience relaxed dining amongst the coconut palms. Location: Malolo Island is 25km from Nadi Airport by coach and launch transfer. Ocean view bure: 1 x king bed + 2 x single beds. Suitable for 4 people (2 adults & 2 children). Deluxe ocean view bure: 1 x k bed in a separate bedroom and two single beds in the spacious living area. Suitable for 4 people (2 adults & 2 children). Tadra beach bure: 1 x king four-poster bed with sheers + 2 x day beds. Two bedroom family bures: 1 x king bed, one ensuite and one main bathroom, plus 3 single beds located in the spacious living area. There are 3 family bures on the island. Retreat to paradise at the Fiji Beach Resort and Spa managed by Hilton and soak up some sun on the 1.5km of private beach. Laze by one of the hotel’s seven pools or make the most nearby watersports such as jet skiing, parasailing, waterskiing and fishing. Play a couple of sets of tennis, perfect your swing on the world-class golf course just 5 minutes away or indulge in a rejuvenating Myoxy Caviar facial at the hotel’s tranquil award winning spa. Location: Found on the west side of Fiji’s main island, Viti Levu, the resort is 20 minutes from Nadi’s International Airport. Accommodation options: The range of accommodation at the Hilton is outstanding for family groups holidaying together. Studios : Ideal couples retreat. Maximum 3 guests. One bedroom : Versatile and spacious. Maximum 3 guests. Two bedroom : Convenient open-plan layout, ensuite bathrooms, kitchenettes and an internal laundry. Maximum 5 guests. Three bedroom : Sheer indulgence for families or groups offering expansive entertaining area. Maximum 7 guests. Five bedroom : Modern open plan layout over 2 levels. Three master bedrooms with ensuites. Private plunge pool and daybeds. Maximum 12 guests. Sofitel Fiji Resort and Spa is located on beautiful Denarau Island. This five star beachfront resort features luxury hotel facilities with an elegant French touch where you’ll experience a holiday in paradise amidst a vibrant local holiday culture. This resort couldn’t be more conveniently located. It is adjacent to world class Denarau Golf and Racquet Club and a 15-20 minute stroll to the Port of Denarau (or you may choose to catch the shuttle bus) where you’ll find the largest single collection of quality shopping and dining in Fiji. Denarau Port is also the launching point for travel to the outer islands for snorkelling and diving. The Sofitel has recently launched the brand new Waitui Beach Club – a modern, multi-million dollar, newly build leisure concept designed exclusively for adults only. Waitui Beach Club will have a focus on health, with complimentary yoga and tai chi in the morning and a healthy breakfast (when a bed and breakfast package is booked). Other features will include a private, dedicated check-in area, personalised pool butler service, a selection of balanced menus by nutritionist Lucinda Zammit, a 25m lap pool, state of the art gymnasium, plus enhanced room amenities and complimentary sundowner cocktails. Private cabanas, a ‘world bar’, and guaranteed pool seating are on offer exclusively for Waitui Beach Club guests, while at night, the setting of the sun will bring subtle lighting and a change of mood, with frequent live entertainment on offer. Guests can also enjoy a swim up pool bar. Location: Denarau Island. 20 minute drive from Nadi International Airport. Superior rooms : 1 x king bed. Sofa bed or cot allowed. Luxury rooms : 1 x king bed or 2 x queen beds. Junior suite : Family room with 1 x queen bed + 2 tier bunks in children’s nook with PlayStation 3 with LCD TV. Prestige suites : 1 x king bed + jacuzzi on private terrace. Opera suites : 1 king bed + separate living room. Imperial suite : 1 x king bed + separate living room. 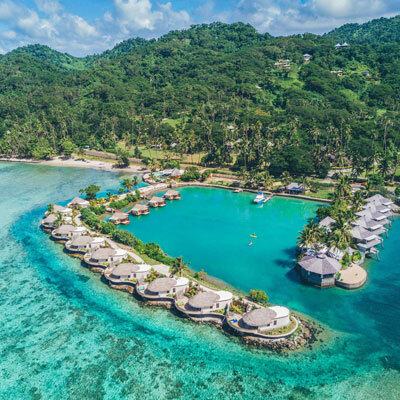 The InterContinental, located on beautiful Natadola Beach on Fiji ‘s main island of Viti Levu, resort offers an outer island experience on the mainland. It is one of only a handful of resorts on the mainland with a white sandy beach. Palm fringed, and perfect for swimming, snorkelling and surfing, Natadola Beach has been referred to as “Fiji’s best beach”. This large resort offers an endless array of activities and facilities to keep all members of the family happy during their stay including a championship golf course that rivals the world’s best, large family pool + adult only infinity pool, nightly entertainment, 24 hour fitness club, Planet Trekkers Kid’s Club plus babysitting facilities. There is a choice of dining options ranging from fine dining to casual restaurants, cafes and bars. Accommodation options : There is a broad choice of accommodation available featuring beachfront, garden and lagoon view rooms. Interconnecting rooms are available for groups travelling together. There are one and two bedroom suites available with ensuite bathrooms, spacious living and dining areas, sophisticated outdoor living areas, plunge pool and garden courtyards. For family groups seeking for a decadent, luxury escape, the Natadola Suite is a private sanctuary perched high on the hilltop overlooking the resort and boasting sweeping views. This residential-style suite is a sprawling 218 square meters and features two bedrooms with ensuites, kitchenette, indoor dining and living room area, private pool, a tropical courtyard, and dedicated outdoor entertainment space. Location: 40 minutes drive from Nadi International Airport. 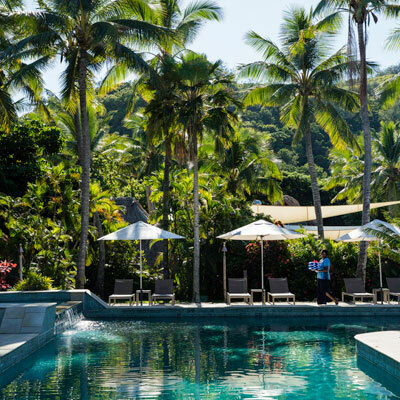 This resort was designed and built to reflect the true Fijian experience and way of life – it is where traditional Fijian village meets five star luxury! 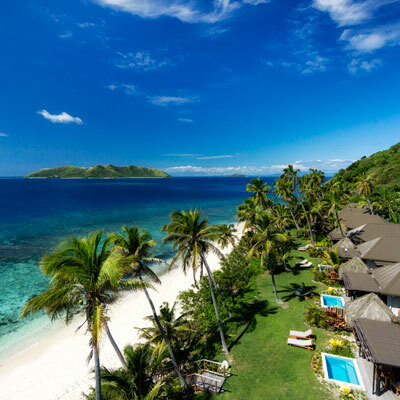 This 5 star resort is situated in the heart of Fiji’s Coral Coast and is set on a white sand beach, amongst 40 acres of tall palms and lush tropical landscaped gardens. The resort’s guest facilities are second to none and include a huge lagoon style swimming pool, extensive water activities, complimentary 24 hour fitness centre, 2 flood lit tennis courts, an international standard golf training facility, 4 unique restaurants and 5 bars. The property has a terrific Kids Club and there is a comprehensive daily activities program to suit guests of all ages. Outrigger is also home to the famous Meimei nanny service – the only Fijian resort to have a dedicated nanny product offering. The resort offers just about everything to keep the children and adults as busy, or as quiet as you like. Outrigger on the Lagoon caters to younger and older children equally and offers tailored programs for each. Location : Outrigger on the Lagoon is an hour drive from Nadi International Airport and takes you through the popular duty free shopping spot of Sigatoka – just five minutes from the resort. Accommodation options : Accommodation is comprised of 207 deluxe rooms and suites, most with sweeping ocean views and 47 traditional thatched bures (bungalows). Superior & deluxe rooms: 2 x double beds or 2 x king bed + sofa bed. One bedroom suites : 1 x king Bed + sofa bed with separate living area. Plantation bure : 2 x double beds or 1 x king bed + soft bed. Plantation family bure : 2 x bedrooms plus sitting room. Double beds in one bedroom and 1 king bed. Ocean breeze bure : 2 x double beds or 1 x king bed + soft bed. Beachfront bure : 1 x king bed + sofa bed. We can take the stress out of the planning process by taking care of flight bookings, transfers, accommodation, meal packages, sightseeing tours and everything in between. Relax – we are the Fiji Island group travel experts! Let us take the stress and hassle out of organising flights, booking the accommodation, syncronising transfers and even planning activities so all you need to do is dust off your suitcases, grab your passports, get yourselves to the airport on time and let the fun begin! As Fiji Island experts we have the contacts and resources on the ground in Fiji to organise additional extras that standard travel agencies simply can’t do. For example, we recently booked a group holiday for a junior Sydney rugby team. We organised several training sessions during their stay with the Hideaway Hurricanes, one of Fiji’s premier rugby teams. 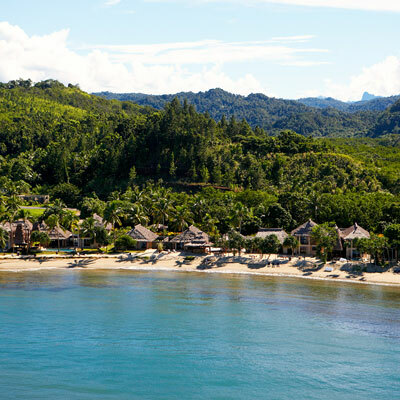 Enter your email address below and we'll keep you up to date with Fiji travel specials. You can unsubscribe anytime. Fijian is the native language however almost everyone is bilingual and English is spoken widely throughout the Islands. Fiji Holidays – Fiji Travel Agents © 2019. All Rights Reserved.